Team Co-ordinators play a vital role in managing the FoodCycle project. You will organise Project Leader meetings and follow up on any set actions from these. You will also ensure that the Project Leader rota is complete for your project’s upcoming cooking and hosting sessions, be the main contact with your local FoodCycle Regional Manager, and liaise directly with your project’s venue. 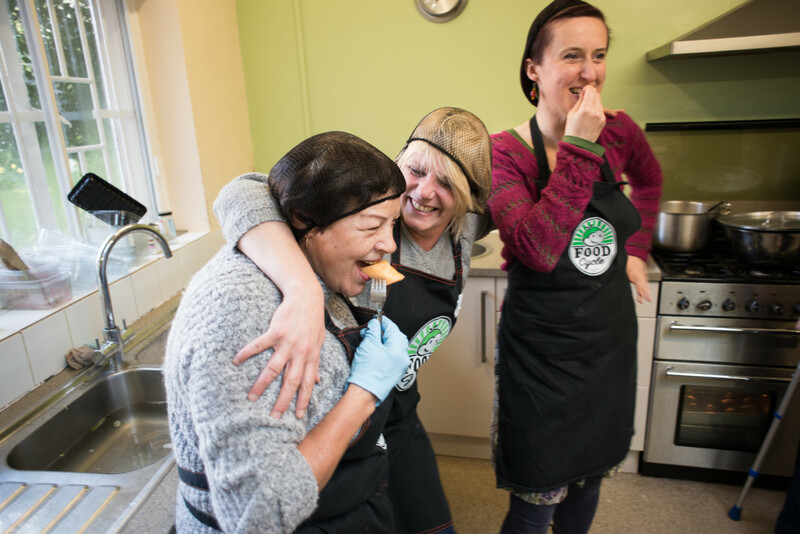 The role of Team Coordinator is a great way of gaining management experience, developing a well-developed understanding of all aspects of a FoodCycle project, and a chance to really leave your stamp on one of our volunteer-led projects. Relationship management: you’ll liaise with your Venue Partner and work hard to maintain good communication channels and a strong working relationship. Communication: you’ll be the Project Leader team’s main point of contact with FoodCycle’s head office. Leadership and delegation: we’ll train you up to lead cooking and hosting sessions, and how to induct new volunteers into the kitchen. Recruitment of volunteers: you’ll support your Regional Manager to recruit Project Leaders. Running effective meetings: you’ll organise Project Leader meetings once a month to discuss the running of your Project. Download the Team Coordinator role description.